Healthy Seminars is the integration of Pro D Seminars and Medigogy.com where acupuncturists and functional medicine practitioners can find a large selection of online continuing education courses and educational resources. Founded by Dr. Lorne Brown, B.Sc., CPA, Dr.TCM, FABORM, CHT, Healthy Seminars provides the quality of CEU/PDA/CPD approved courses you’ve come to expect from Pro D Seminars alongside the free educational resources offered by Medigogy. I was told by some peers that my ideas would fail. Thankfully I ignored the naysayers. In 1994, I left my comfortable career as a Chartered Professional Accountant (CPA) and moved across the country to pursue my dream of becoming a doctor of TCM. There were no regulations then for acupuncture in British Columbia and I was told the chance of me earning a living from practicing acupuncture was unlikely, especially compared to what I was making as a CPA. Today my practice, Acubalance Vancouver, is internationally known for integrative fertility care. In 2008, I launched Pro D Seminars to offer online continuing education for acupuncturists because I was tired of seeing my colleagues and I struggle to find reliable educational resources to help us be better practitioners. Nobody had ever done it, and once again, I was told it would fail big time. Pro D has been a pioneering force in online TCM education, and has continued to grow exponentially every year - inspiring other businesses to follow suit. In 2015 I founded the Integrative Fertility Symposium when in-person acupuncture conferences were rapidly declining in attendance. I was told nobody would attend a destination conference in Vancouver with such a narrow focus on reproductive health. Registrations for exhibitors and attendees have sold out every year, and participants have come from across the globe to attend. How have I, an average Joe, made this happen despite the constant risk of failure? I put in the work every single day to better myself through education. My continuous learning made me a better practitioner and entrepreneur, and my increased knowledge and competence from the continued learning gave me the confidence to persevere in the face of hardship. In short, my investment in education took me farther than I could have gone with basic training as a Dr. of TCM and CPA. This is why I’ve created Healthy Seminars - to bolster those struggling with the same fears I had as an entrepreneur and practitioner, to enhance their value as practitioners through education in order to attract and retain more clients, and overall, to help them find reliable continuing education in a convenient format that suits their lifestyle. I created Healthy Seminars to provide education that makes a difference in your practice, and in your life. I know you have big dreams and are compelled to help others. I understand it can feel like the journey is too challenging, or like success is impossible. I want to help you attain your dreams and experience abundance and prosperity in your life. It all starts by building on your educational foundation. I’m living proof that no matter who you are, when you invest in yourself, you inspire others to invest in you. 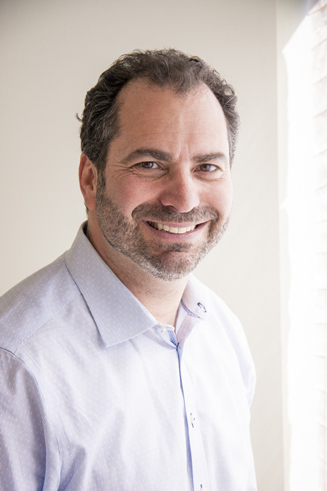 Lorne Brown B.Sc., CPA, Dr.TCM, FABORM, CHt is the Clinical Director of Acubalance Wellness Centre, the founder of Healthy Seminars and the chair of the Integrative Fertility Symposium. After a career as a Chartered Professional Accountant (CPA), Lorne received his Doctor of Traditional Chinese Medicine at Vancouver’s International College of Traditional Chinese Medicine. Lorne has postgraduate training in Clinical Hypnosis, Psych K, low level laser therapy (LLLT) and Functional Medicine. He is the first Canadian to be certified as a Fellow of the American Board of Oriental Reproductive Medicine (ABORM). Alongside his Vancouver practice at Acubalance Wellness Centre, Lorne’s work into women’s health and fertility includes publishing the Acubalance Fertility Diet in 2012, bringing acupuncture onsite to IVF clinics in Vancouver, as well as establishing the Integrative Fertility Symposium held in Vancouver BC. Dr. Brown has successfully integrated his entrepreneurial skills and background as a CPA with his passion for Chinese Medicine establishing a very successful fertility practice (www.Acubalance.ca) and pioneering online continuing education through Pro D Seminars and Medigogy (now knows as Healthy Seminars) as well as the Integrative Fertility Symposium for CAM Practitioners worldwide. Lorne published a practice management book for TCM practitioners called Missing the Point: Why Acupuncturists Fail and what they Need to Know to Succeed. His latest book to be published in the summer of 2018 is for the public on treating infertility using a multidisciplinary approach.